The perfect combo for every angler, this tool combo includes an 8-1/2" Stainless Steel Pliers with Belt Clip Dual Sheath and 5-1/2" stainless steel fishing forceps. 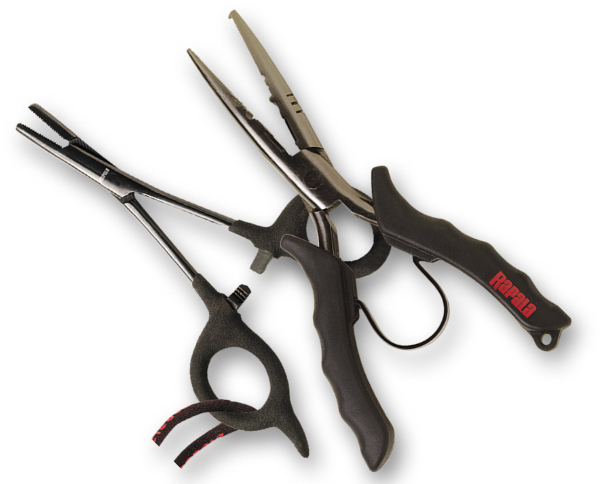 The Stainless Steel pliers features a side cutter for cutting thin wire leaders and hooks, Rapala lure tuning tool and split shot crimper. Nose features split ring tool for making fast work of changing out or updating hooks in the field.